In the rolling hills of Massachusetts lies a family friendly golf club breaking all the rules usually attached to private country clubs. 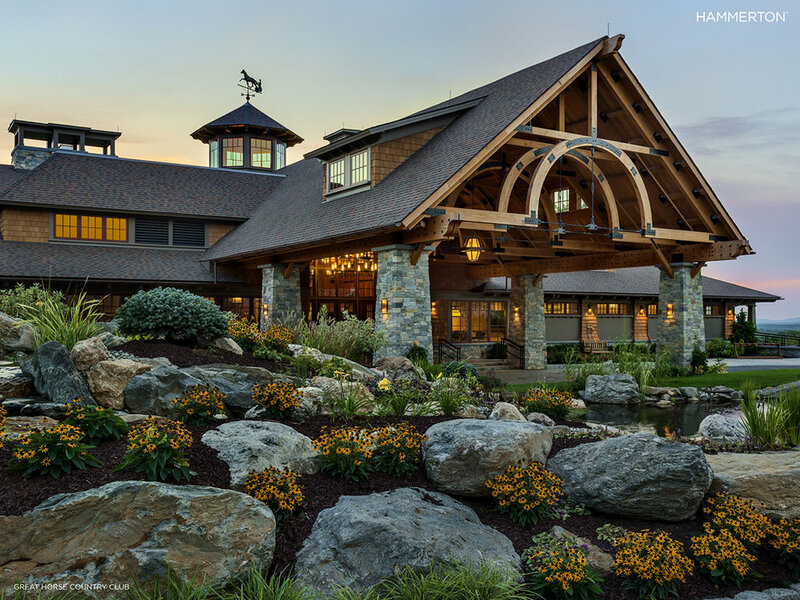 When designing Great Horse the key design components were to incorporate a relaxed family atmosphere amidst the cultivated, but rustic architecture and decor. After a three-year construction period and $45 million in improvements, Great Horse opened its doors in April 2015. 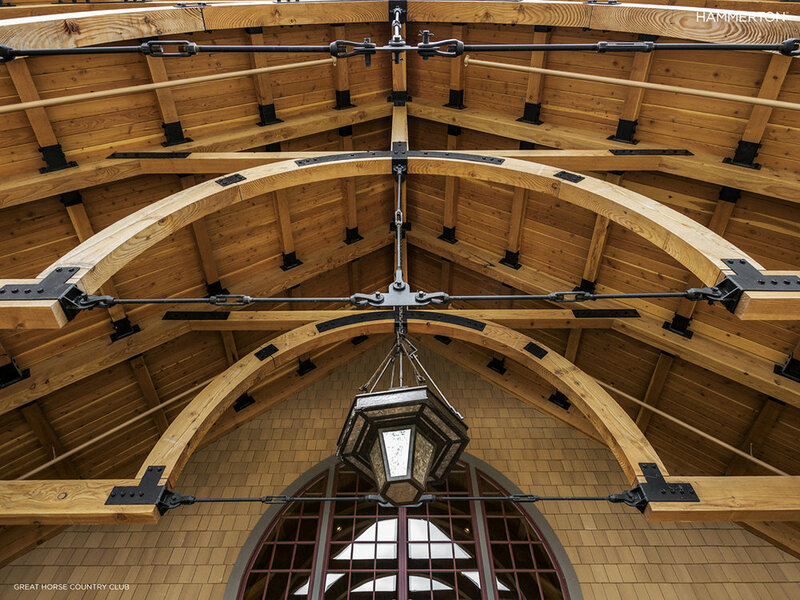 Hammerton had the immense pleasure of working with TMS Architects to produce custom lighting that fused with the rustic, yet sophisticated elements of the property. 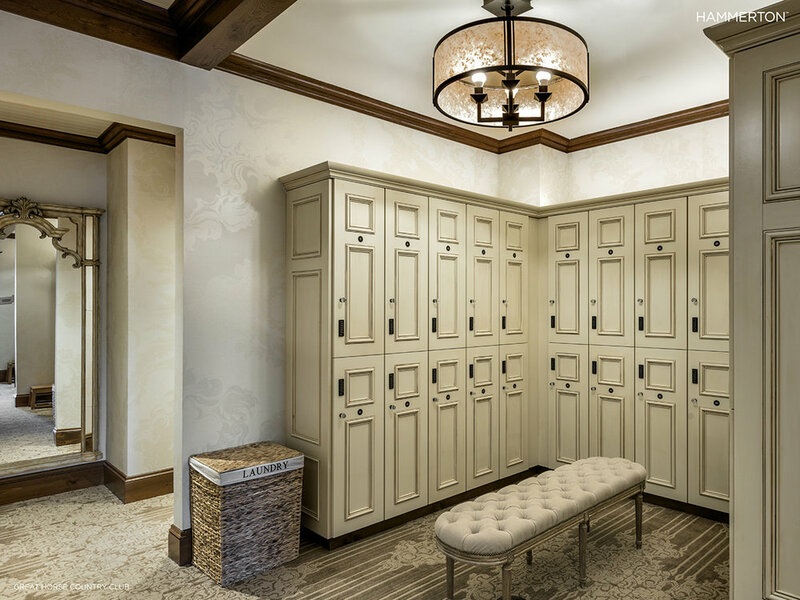 Every Hammerton light fixture in the 26,000 square foot clubhouse bolsters the elegant and relaxed country club ambiance. From rich wooden elements to stone accents and statements of color, each room exudes warm and welcoming tones. Oversized mica drums complement light and airy member areas, while impressive chandeliers hang in the front foyers.